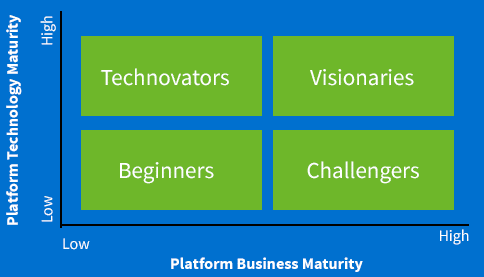 Platformation™ is a digital IP based technology led proprietary framework that takes into account some 16 key parameters that would enable businesses and enterprises to create technology platform based new digital business models. It’s a cloud based offering agnostic of cloud service providers. What are your digital imperatives? Is moving to a platform business model one of them? You may ask what it could mean for you. Well here’s the answer – It is a series of technological solutions that provide outcomes in terms of business innovation and efficiency, as well as customer experience that is truly transformational. This means that a total digital transformation would help businesses cater to changing demands of the customer.